It was nice to see some great fishing weather over the weekend, we spent several days out fishing the salt for salmon, completed our first river seminars and we are now starting up our spring sturgeon, steelhead and salmon season. STS guide Thomas Rutschmann has been out several days this week and is out on a trip this morning. 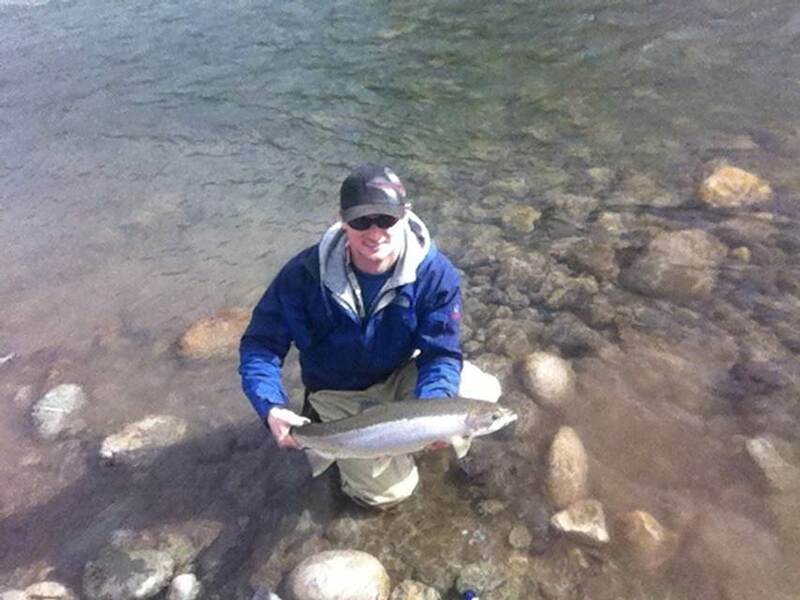 Water is in great shape and our guest from Vancouver just landed his first Vedder river Steelhead. Over the next 2 – 3 weeks we will probably see some of the best steelheading of the season, lots of fish in the system so great time to give it a try. Vancouver salmon fishing is starting to pick up, any day now south end of Bowen Island should start to produce good results and Gulf Island are already starting to pick up. Ling fishery opens May 1 over in the Gulf so we are looking forward to getting out there. Crab and prawn fishing has been good and should remain steady until the commercial opening in May. 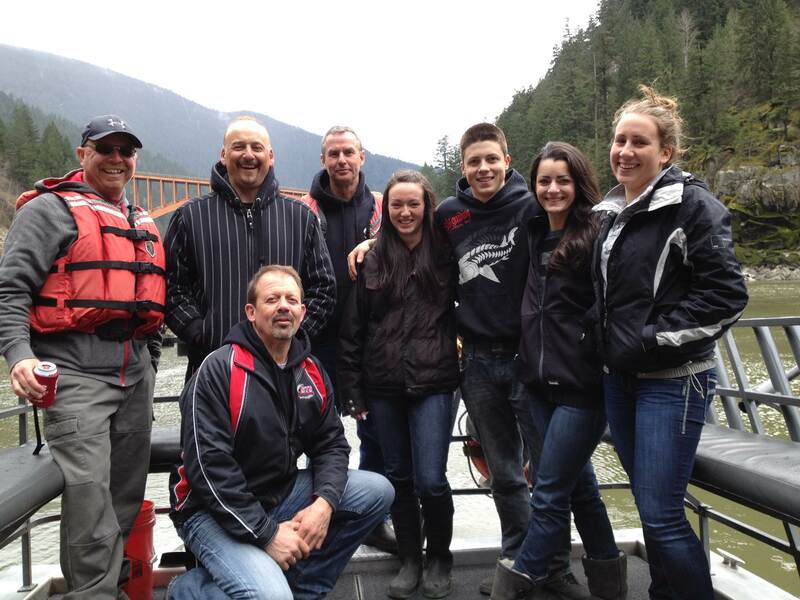 Once that fishery is open we pretty much stop prawn fishing on salmon charters on the Vancouver side of the strait. Although we still have lots of great salmon fishing between April and July, August is by far one of the best months for salmon fishing in the Vancouver area, with 70 million sockeye predicted this summer, it going to be a bit crazy. If you’re looking for a great local trip for both Chinook and Sockeye, August is the month to book. Sturgeon fishing has been a bit spotty this past week, some days are great and the next day you can’t get one to bite. Most of this is due to inconsistent weather and we are still just a bit early for the Eulachon run. 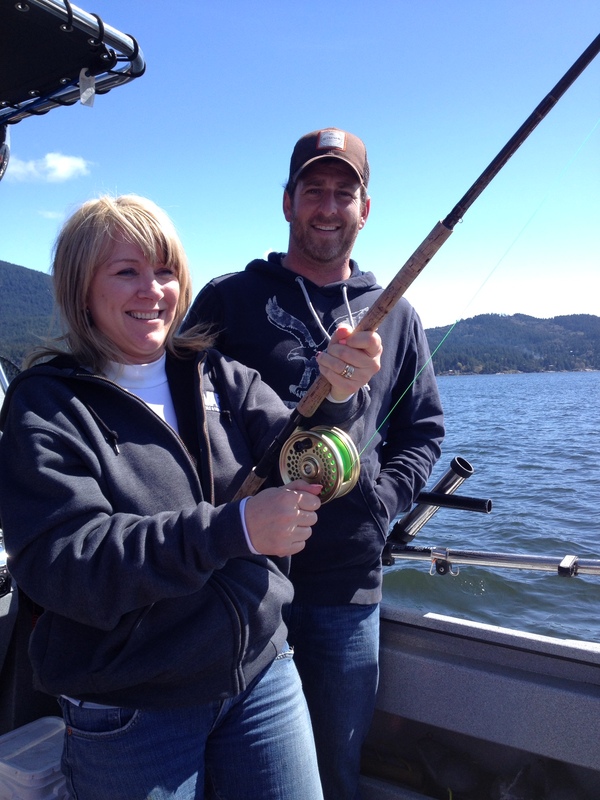 The lower and middle Fraser has fished best with most fish being caught on Eulachon and Lamprey eel. 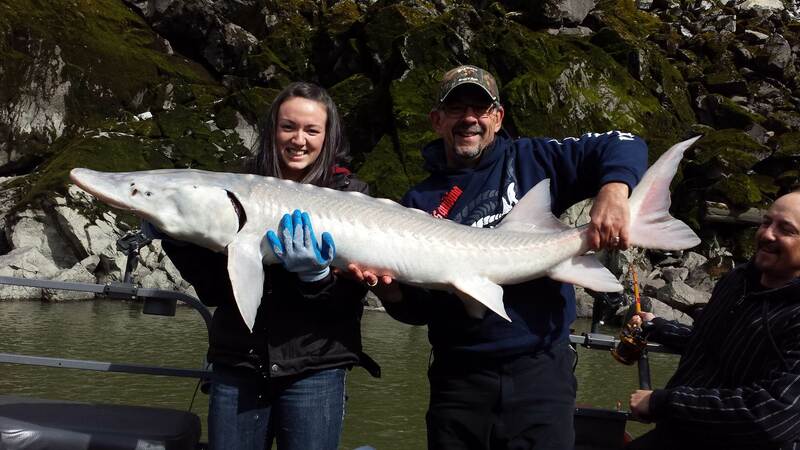 We still have a few seats available for this weekends Sturgeon seminar and Jet Boat Seminar, give us a call if you would like to book. Next Hells Gate tour is May 2, 5 seats are still available.